The 4th anniversary party of PyLadies Tokyo! 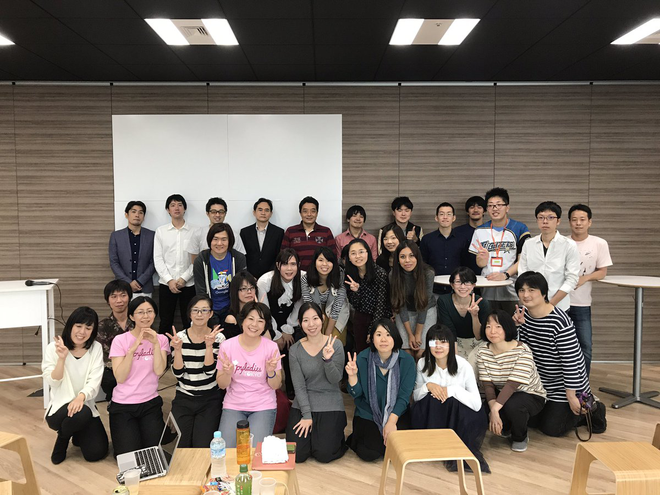 In October, PyLadies Tokyo will celebrate the 4 years since Meetup was held. In order to celebrate the 4th anniversary of the establishment, we will hold a 4th anniversary party of Potluck & LT! Those who can not live without Python If you are full of love Python. Those who is studying Python at the PyLadies Tokyo event. Those who has never wrriten Python , but if you want something and want to join. Those who participate for the first time are also welcome! Wanted person who play Lighting Talk!! Men can also participate in this event! We are looking for sponsors to support pyladies' activities. If you are interested in anything, please contact tokyo@pyladies.com . This event will be a Potluck party. Please prepare sweets and alcohol etc. that you pick with yourself. Those who participate until the second party please prepare for that amount. We will prepare soft drinks (several pieces), paper plates, cups and chopsticks here. Admission will be from the back door of the building. Route to the backdoor is a bit difficult, so please read carefully the route map. If you get lost, please contact Twtiter @ PyLadiesTokyo or PyLadies Japan's Slack . We appreciate your cooperation to operate! PyLadies Tokyo is the Tokyo branch of PyLadies. Our mission is to promote, educate and advance a diverse Python community through outreach, education, conferences, events and social gatherings. We hold monthly events with various themes, such as a slightly more difficult event that skilled people can enjoy from the event for beginners who are easy for beginners to participate, LT tournament to announce everyone else. Please do not hesitate to join us. PyLadies Tokyo is interested in the planning and management of events, we are looking for members who bring together PyLadies Tokyo together. If you are interested in this event, please call our staff for an event. sugita published PyLadies Tokyo - 4周年記念パーティ.